Au sommaire: Thoughts on Brexit from Europe (JD Giulliani); Central European University leaves Hungary; Safeguarding the environment; European capitals of culture in 2019; European News. L'EDUCATION INCLUSIVE; Une réponse à l'échec scolaire ? Appel à contributions : La revue « Signes, Discours et Sociétés » propose un numéro consacré à « La force des mots : valeurs et violence dans les interactions verbales », sous la responsabilité d'Olga Galatanu, Abdelhadi Bellachhab et Ana-Maria Cozma, équipe de recherche Construction Discursive des Représentations linguistiques et culturelles - CoDiRe, Université de Nantes. This is an invitation to publish in one journal devoted to Social Nets called 'Pixel' (I attach the norms). If you are interested in doing so, please, let me know (deadline is May 5th). The Council of Europe (www.coe.int) is pleased to present you with its new brochure 'The Council of Europe - Unlimited connections especially addressed to adolescents. Freedom of expression, cybercrime, ethnic and cultural diversity and domestic violence are some of topical issues the publication deals with. All these themes are presented in an amusing and easy way, connected to the new technological world, to make this publication more accessible and appealing to young people. Feel free to download the publication. Reproduction of the text is allowed free of charge on the condition that you mention the following statement 'All rights reserved. © Council of Europe'. To receive copies of the printed edition, available in English and French, please contact docrequest@coe.int. This fourth and final volume of the series of publications from the Council of Europe project Policies and Practices for Teaching Sociocultural Diversity (2006-09) includes case studies presented at the final conference held in Oslo (Norway) from 26 to 28 October 2009. These concrete examples illustrate the conditions of implementation and adaptation to national contexts of the "Framework of teacher competences for engaging with diversity", which is one of the final products of the project. The competences, which break down into three main groups, namely "Knowledge and Understanding", "Communication and Relationships" and "Management and Teaching", encourage future teachers to reflect on and identify their own personal positions, in various environments, in order to develop a clearer sense of their ethnic and cultural identities and to examine their attitudes vis-à-vis different groups of students. Our ability to relate to and interact with those whose cultural backgrounds differ from our own will be among the determining factors for the future of our societies. For most people, regardless of whether they aim for international careers or life in their local communities, intercultural dialogue will become a fact of life rather than an option. Education will need to play a key role in developing the ability to conduct intercultural dialogue, which is an integral part of developing democratic culture. This book, edited jointly by the Council of Europe and the International Association of Universities (IAU), explores the role of higher education in developing intercultural dialogue in society at large. It complements Intercultural dialogue on Campus (Higher Education series No. 11) and the issue of the IAU journal Higher Education Policy on the same topic, and includes contributions by prominent authors from Europe, the Middle East, Africa, Asia and North America. The book sets out the political context for intercultural dialogue and explores how universities can move from dialogue on campus to dialogue in society, and hence to become actors of intercultural dialogue. It also offers examples of good practice from various parts of the world. 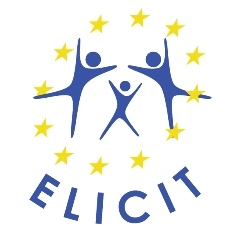 The objective of this manual is to support teachers and practitioners in Education for Democratic Citizenship and Human Rights Education (EDC/HRE). It addresses key questions about EDC and HRE, including competences for democratic citizenship, the objectives and basic principles of EDC/HRE, and a whole school approach to education for democracy and human rights. The manual consists of three parts. Part I outlines the basic principles of EDC/HRE as far as they are helpful and meaningful for the practitioner. Part II gives guidelines and tools to design, support and assess the students' processes of constructivist and interactive learning. Part III provides toolboxes for teachers and students in EDC/HRE. The other volumes in this series offer concrete teaching models and materials in EDC/HRE for pupils from elementary to upper secondary level. This guide examines how schools and universities can work together with their local communities to promote democracy in society based on the principles of Education for Democratic Citizenship (EDC), a concept developed by the Council of Europe. Partnerships based on this idea foster civic skills and values in citizens and build the civic capacity of communities through the pursuit of collective solutions to local problems. The guide explores the mechanics of such partnerships in practice, describing how they are built and sustained, and what makes them work. Drawing on examples from Europe and the United States of America, the guide is intended for policy makers and practitioners in schools and universities, civil society and community groups, and representatives of public authorities and government bodies on both sides of the Atlantic. This is a manual for teachers in Education for Democratic Citizenship (EDC) and Human Rights Education (HRE), EDC/HRE textbook editors and curriculum developers. Nine teaching units of approximately four lessons each focus on key concepts of EDC/HRE. The lesson plans give step-by-step instructions and include student handouts and background information for teachers. In this way, the manual is suitable for trainees or beginners in the teaching profession and teachers who are receiving in-service teacher training in EDC/HRE. Experienced teachers may draw on the ideas arid materials. The complete manual provides a full school year's curriculum for students in upper secondary school (grades 10 to 12), but as each unit is also complete in itself, the manual allows great flexibility of use. The objective of EDC/HRE is the active citizen who is willing arid able to participate in the democratic community. Therefore, EDC/HRE strongly emphasises action arid task-based learning. This manual for upper secondary level focuses on key competences that enable young people to participate in democratic decision making and to meet the challenges of a dynamic pluralist society. Key concepts of EDC/HRE are taught as tools of lifelong learning. This handbook was produced in the framework of the pilot project "Intercultural and interfaith dialogue through education", part of the Council of Europe-European Commission joint programme "Fostering a culture of human rights in South Caucasus and Ukraine" (2006-2009). The Council of Europe is strongly committed to the promotion of an cultural perspective in education and has played a major role, not only in the development and promotion of a coherent theoretical reference framework in this field, but also in the development of methodological guidelines and in the production of educational resources that can be used in teaching and training in both formal and non-formal education. The content of this handbook is based on the proposals for educational activities that were developed by the teachers and trainers from Armenia, Azerbaijan, Georgia and Ukraine who took part in the project. The activities presented here cover a range of topics associated with intercultural education that correspond to some of the key elements and competences that the Council of Europe considers to be fundamental for intercultural education. The handbook should be seen as a tool for teachers of different subjects who want to integrate an intercultural dimension in their practice. It can also act as a useful resource for teacher trainers in this field. Growing up in democracy is addressed to teachers who want to integrate Education for Democratic Citizenship (EDC) and Human Rights Education (HRE) in their daily subject teaching. Nine teaching units of approximately four lesson plans each give step-by-step instructions and include student handouts and background information for teachers. The complete manual provides a full school year's curriculum for students in primary school (grades 4 to 6), but as each unit is also complete in itself the manual allows great flexibility in use. It is therefore also suitable for textbook editors, curriculum developers, teacher trainers, student teachers and beginning teachers. The objective of EDC/HRE is to teach children to become active citizens who are willing and able to participate in the democratic community. Therefore, EDC/HRE strongly emphasise action and task-based learning. The school community is conceived as a sphere of authentic experience where young people can learn how to participate in democratic decision making and may take responsibility at an early age. Key concepts for EDC/HRE are taught as tools of life-long learning. Just what are your human rights, and how does the Council of Europe protect them? This small book tells the story simply and clearly, making a complicated issue straightforward. It offers examples illustrating each right in the European Convention on Human Rights, and short explanations placing the European Court of Human Rights in the wider context of other Council of Europe activities that also promote the same ideals. As informed citizens of Europe, we all need to be aware of human rights and of the importance of maintaining and promoting them. Europe has a good story to tell about human rights and this book tells it. Une collection réalisée par une équipe d'enseignants franco-allemands pour croiser les regards et les approches pédagogiques sur l'histoire du monde et de l'Europe. - Le manuel de Première, L'Europe et le monde du congrès de Vienne (1814) à 1945. Paru en 2008. Existe également en version numérique vidéoprojetable. - Le manuel de Terminale, L'Europe et le monde depuis 1945. Paru en 2006. Existe également en version numérique vidéoprojetable. Disponibles dans les deux langues. Publications des Langues Modernes 2009-3 : Disciplines linguistiques et non linguistiques, l'entente cordiale ? et 2009-4 : Enseignants de DNL et de LV, à armes égales ? Comment accompagner les élèves dans leur choix d'un projet professionnel dans l'espace européen? Publication de l'AEDE-France (2009) - Actes du colloque d'octobre 2008, avec la participation d'André tricot, Thérèse Bouffard, Jean-Marie Petitclerc, André de Peretti, etc. Voici une excellente synthèse du groupe de travail n°2, qui fait le bilan des lacunes du système éducatif français en ce qui concerne l'éducation à l'Europe et qui propose un certain nombre de recommandations.